Taxes, employee benefits, IRS compliance… Managing a business’s payroll is already a complex responsibility. If that business is a restaurant, the challenges are quickly compounded. The various types of wages an employee can earn is one of the biggest differences restaurant payroll has against other industries. It’s not unusual for a restaurant server to be compensated through tips, hourly wages, meals, service charges, and more. These variations require specific reporting in order to stay compliant with the Internal Revenue Service. If a restaurant employee earns a minimum of $30 a month in tips, the Department of Labor requires a minimum hourly wage of $2.13. Federal minimum hourly wage is currently $7.25, so how can a restaurant owner ensure that they are meeting that requirement with their employees that earn tips? Under the FLSA (Fair Labor Standards Act), an employer can take a tip credit that’s applied towards the minimum wage requirement for all tipped employees. The credit must be equal to the difference of the required cash wage ($2.13 minimum) and the federal minimum hourly wage. This means the maximum tip credit an employer can claim is $5.12 per hour ($7.25-2.13). Each employee’s tips and wages must meet or exceed the federal minimum wage, or the employer is required to compensate the difference. NOTE: The employer must notify employees directly of the tip credit requirements. Restaurant employees are required to report all income, even cash tips received by employees, to the IRS. Employees will often miscalculate (or avoid reporting altogether) their tips to try to evade being taxed on them. It’s imperative for employers to consistently report this income to manage their restaurant payroll accurately. Requiring tipped employees to submit a regular tip report is a standard practice in the restaurant industry. Frequently submitted reports from employees tend to be more precise with a smaller margin for error. The IRS has an optional form that can be used to help your restaurant track tips for the most efficient reporting. Cash tips an employee collects typically qualify as taxable wages. If the employee collects more than $20 in tips in a calendar month, the employer is responsible for withholding taxes (including FICA and FUTA) for all reported tips, even with no control over the amount of tips that are received. The amount of income and FICA taxes an employer can withhold is limited by how much control they have over the employee’s funds (such as non-tip wages earned). If insufficient funds are available, there is a certain order that those funds must be applied to the taxes. 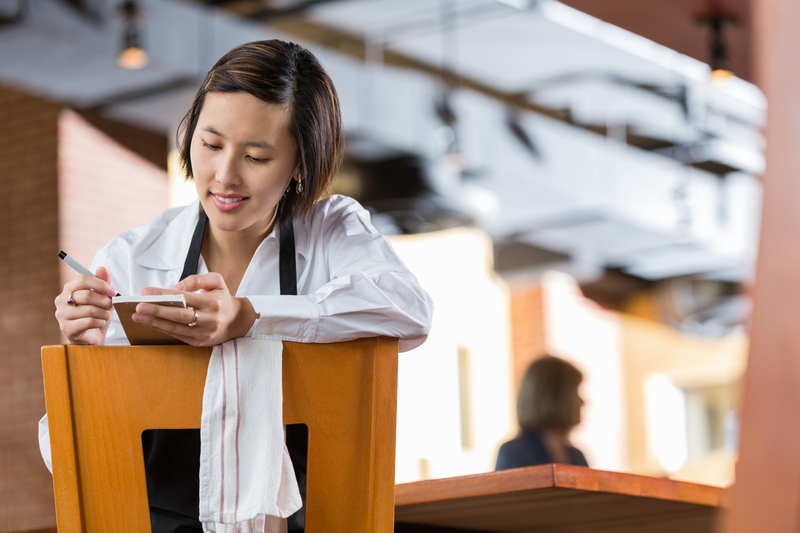 Restaurant payroll management offers unique challenges that most industries don’t encounter. There is little margin for error when calculating a tipped employee’s wages, reporting those tips, and withholding taxes appropriately. Fortunately, PROWORK solutions provide custom reporting and auto tax payments to alleviate the headache so you can focus on what makes your restaurant great.